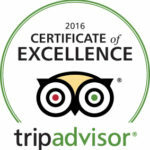 / Best Wings in Destin FL / TAKE THESE GOLDEN WINGSDAY! 59¢ Ea. 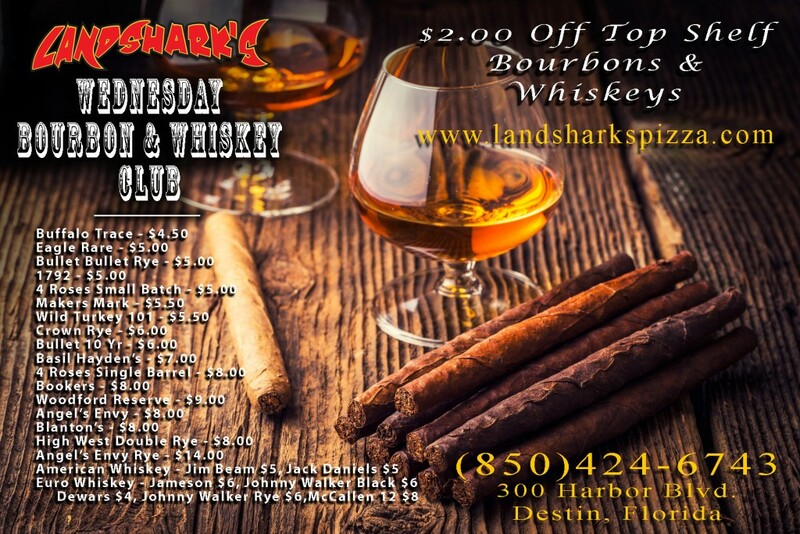 ALL DAY $2 OFF BEST BOURBONS in Town – COLLEGE BASKETBALL Action Heats Up! TAKE THESE GOLDEN WINGSDAY! 59¢ Ea. 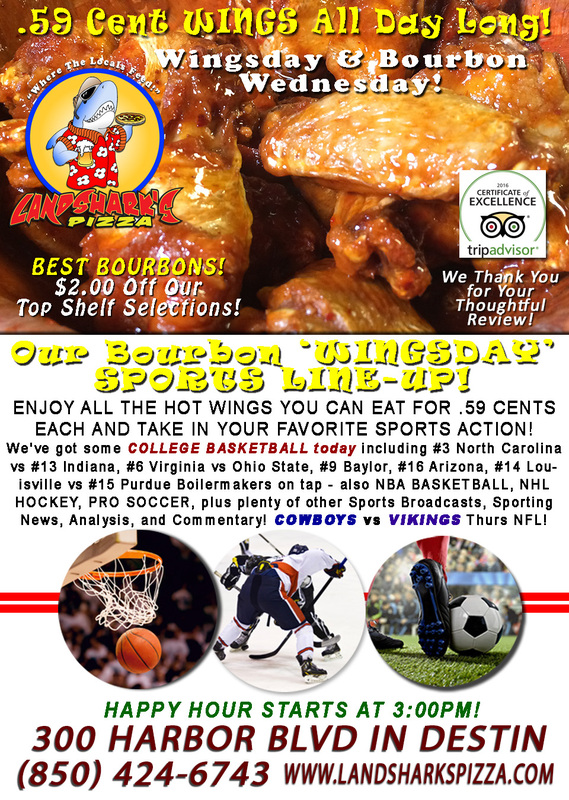 ALL DAY $2 OFF BEST BOURBONS in Town – COLLEGE BASKETBALL Action Heats Up! 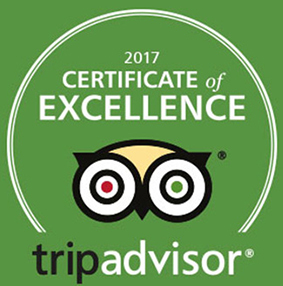 ‘Best in Destin’ award-winning wings for only 59¢ each (dine in, with drink purchase) whether you eat 10 or 100 – get your grub on with complete abandon. 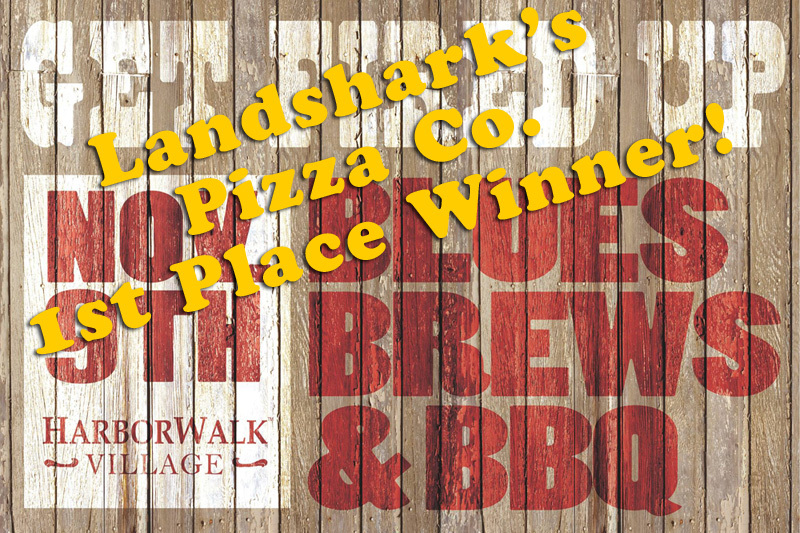 Choose from among more than 20 sauces and rubs to compliment our ‘Best in Destin’ Award-Winning Hot Wings! They’re hot, crispy, juicy, dripping with seasoned sauces or mouthwatering rubs! Wings with an explosion of taste – perfect with our wide selection of GREAT CRAFT BEERS, the best bourbon menu in Destin, and a boatload of sports action! 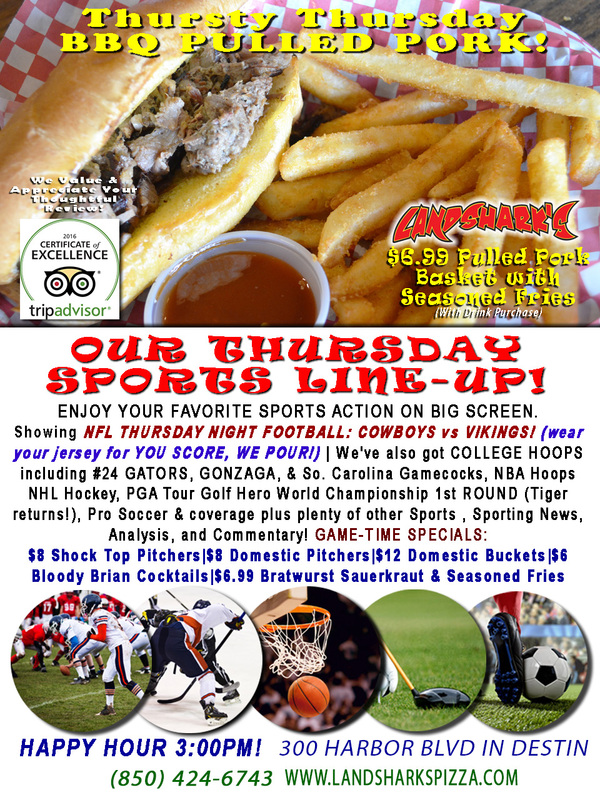 SPORTS ON OUR ARMY OF BIG SCREENS – We’ve got some COLLEGE BASKETBALL today including #3 North Carolina vs #13 Indiana, #6 Virginia vs Ohio State, #9 Baylor, #16 Arizona, #14 Louisville vs #15 Purdue Boilermakers on tap – also NBA BASKETBALL, NHL HOCKEY, PRO SOCCER, plus plenty of other Sports Broadcasts, Sporting News, Analysis, and Commentary! NFL This Week: Thursday Night Football COWBOYS vs VIKINGS as Dallas looks to continue their recently-resurgent winning ways. Full banquet of Sunday games & COLTS vs JETS for Monday Night Football (Dec. 5th). NCAA Football This Week: Western Michigan, Ohio, Colorado, & Washington play Friday (Dec 2)|Saturday’s a full menu of smashmouf action with #1 ALABAMA vs FLORIDA, & Wisconsin vs Penn State. Previous Post: « Tuesdays mean ROCK’N ROLL & TACOS in Destin! 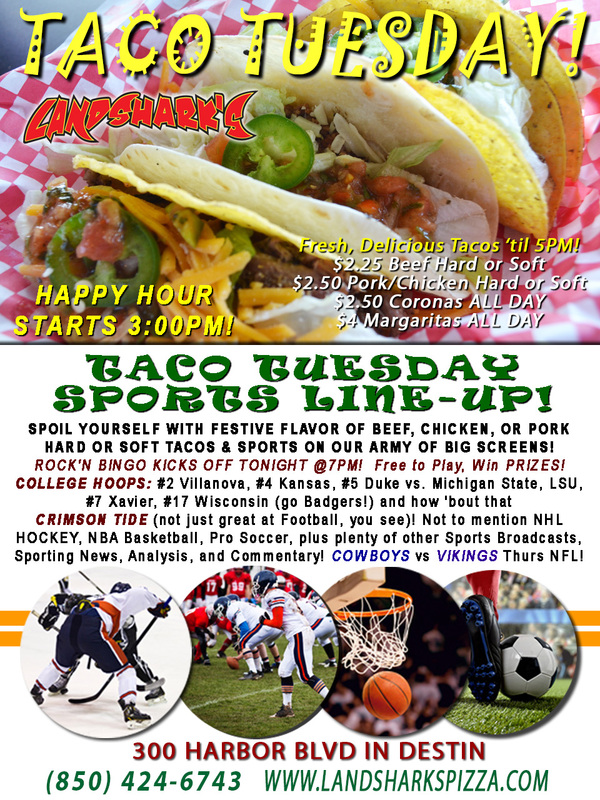 $2.25 BEEF, $2.50 PORK OR CHICKEN$2.50 CORONAS & $4 MARGARITAS, College HOOPS & ROCK’N BINGO@7PM!